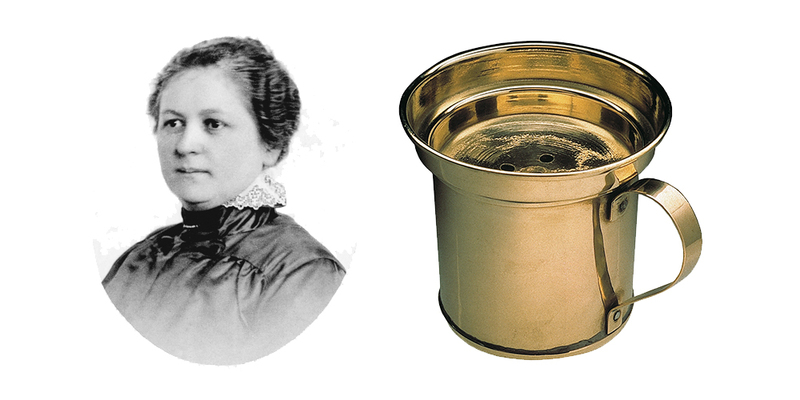 The original filter is born: Melitta Bentz, from Dresden, comes up with the ingenious idea to banish coffee grounds from cups using a paper filter, by punching holes through the base of a brass pot and placing a blotting sheet from her eldest son’s school book on it. With a patent on her invention and 73 Reich pfennigs of start-up capital, the shrewd housewife has the company, M. Bentz, entered in the Dresden commercial register on December 15th. Like the original filter, this filter generation is structured in three parts and comprised of a removable water distributor, the filter body and a sieve insert, onto which the filter paper is laid. 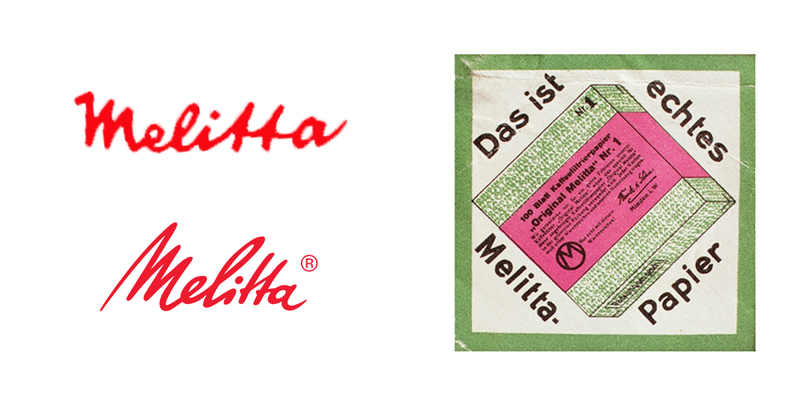 In order to protect it from the numerous imitators, from 1925 onwards, Melitta® markets the filter packages in their characteristic red-green colour combination, which is still typical today. 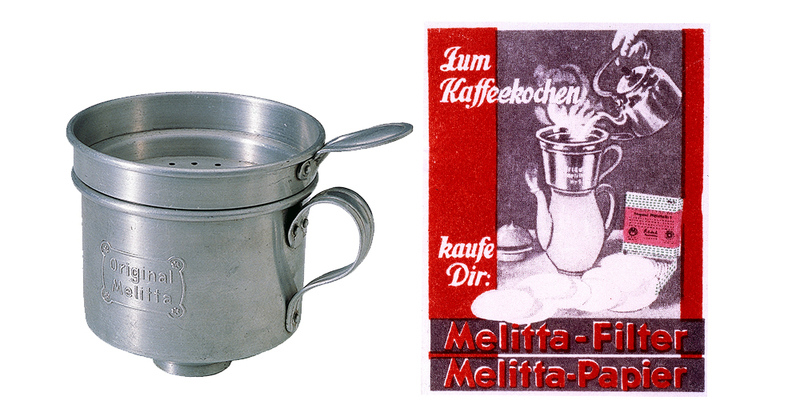 1932 the typical Melitta® lettering is introduced, so that another identifying feature is created. 1937 the lettering is changed for the first and last time. To this day, it is synonymous all over the world with coffee preparation using the filter method. The filter receives its conical shape. The round, flat base with outflow holes are characteristic. With an accompanying “presser”, the square, flat filter paper is pressed into the filter shape. The shape of the coffee filter changes: It is slit-shaped at the bottom. 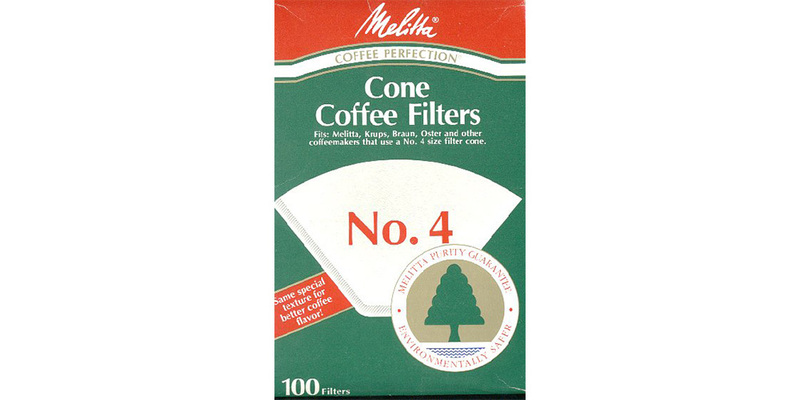 To match this, the coffee filters known today as filter bags were developed and patented. With this, the perfect shape is created for filter coffee. The first commercial for the first quick filters comes to the cinemas. 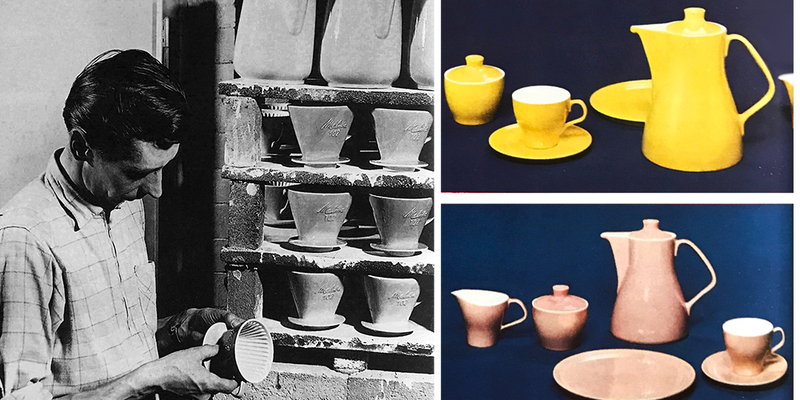 The pastel-colored Melitta® earthenware pots and filters, which have been produced in their millions since 1954, have now become sought-after collectors' items. 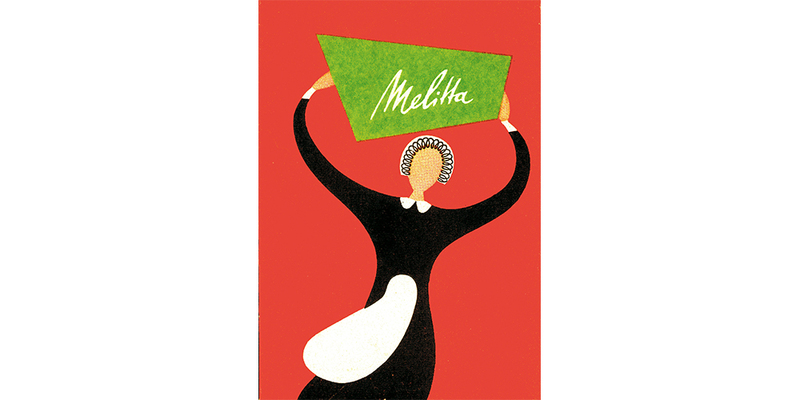 Simple, avant-garde shapes and colorful, fashionable décors characterise the typical Melitta® crockery of the 60s and 70s. 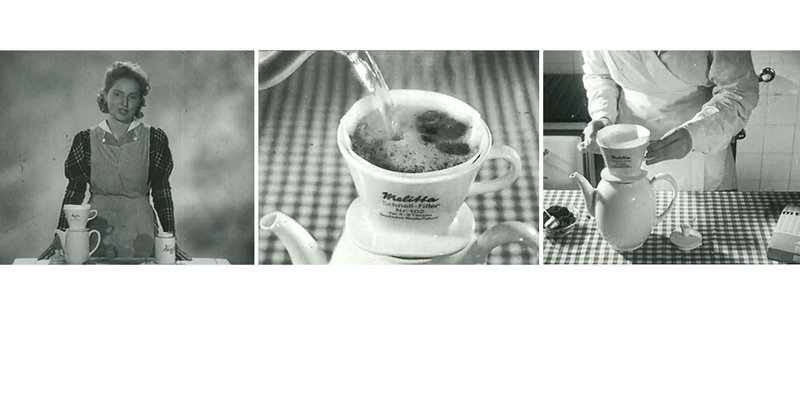 Melitta® establishes a branch in Toronto, Canada, which is the first Melitta overseas subsidiary. 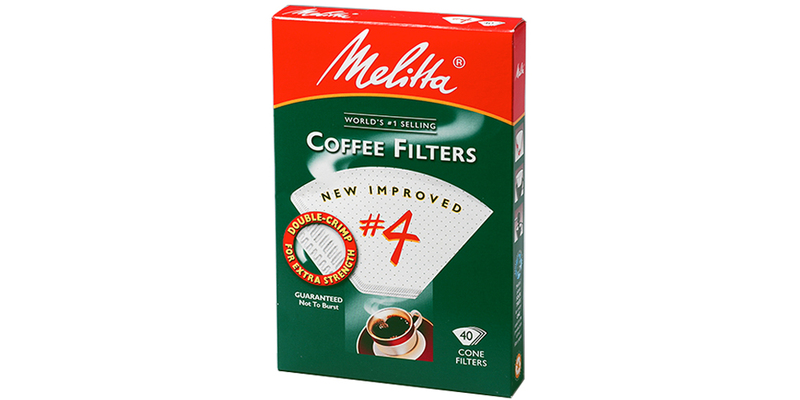 Melitta® develops the quick filter made of plastic. Initially transparent, they are soon manufactured in numerous colour variations. 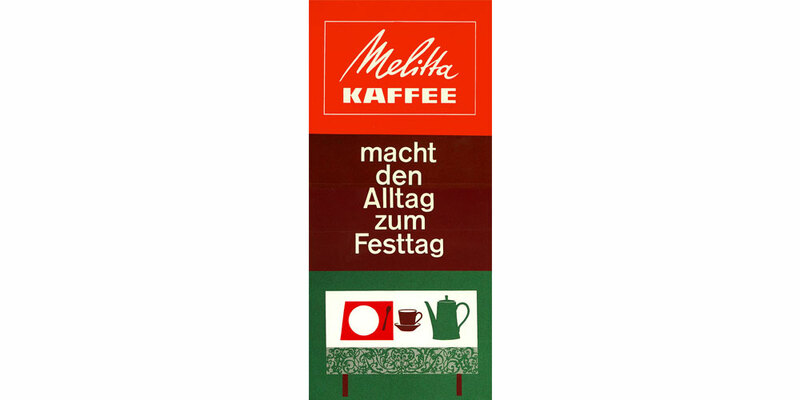 In order to complete the range, Melitta® has been offering coffee since 1962. By the way, it is the first coffee roaster in Germany to offer ground and vacuum-packed coffee. Roasting initially takes place in Minden, the company headquarters. 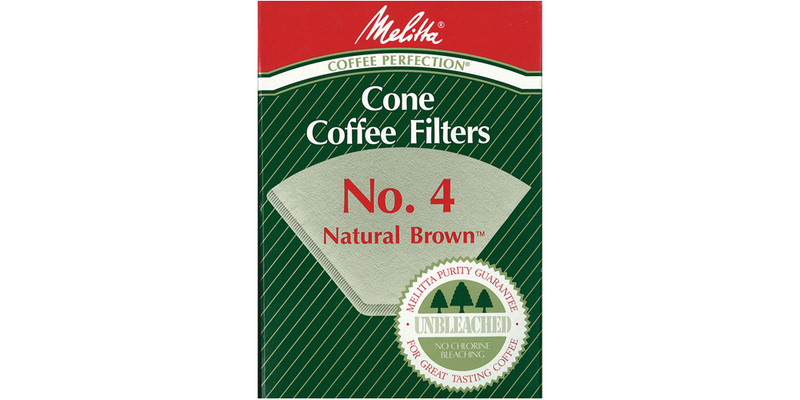 Melitta is the first company to introduce Natural Brown® filter paper, made from unbleached pulp. During the manufacture of the raw materials no bleaching agents are added, thus keeping any unwanted by-products from leaching into the environment. In cooperation with paper manufacturers, Melitta develops a new cleansing method in order to produce white filter paper without the use of chlorine. Chlorine-free, oxygen-cleansed paper is born. 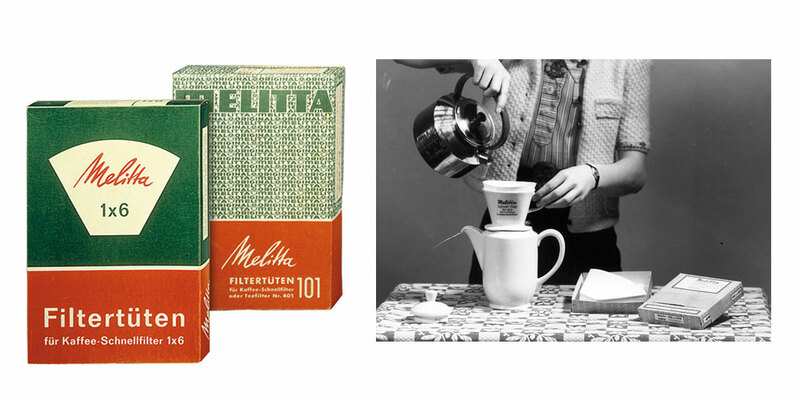 The Funkaffe set is a modern design of the classic Melitta pour-over coffee brewer. 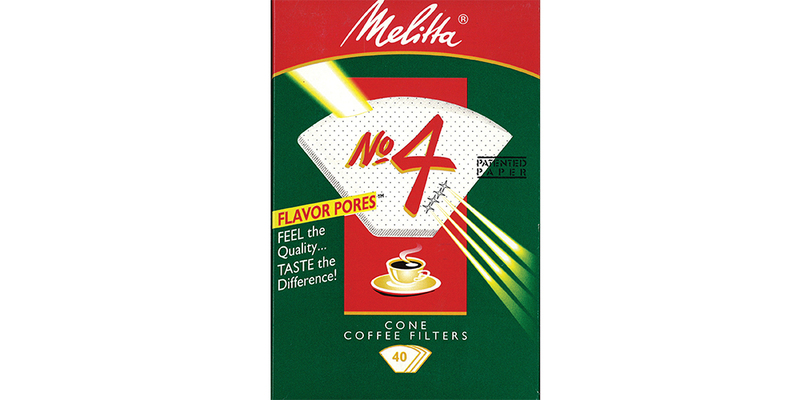 Melitta introduces Flavor Pores™ to North America. 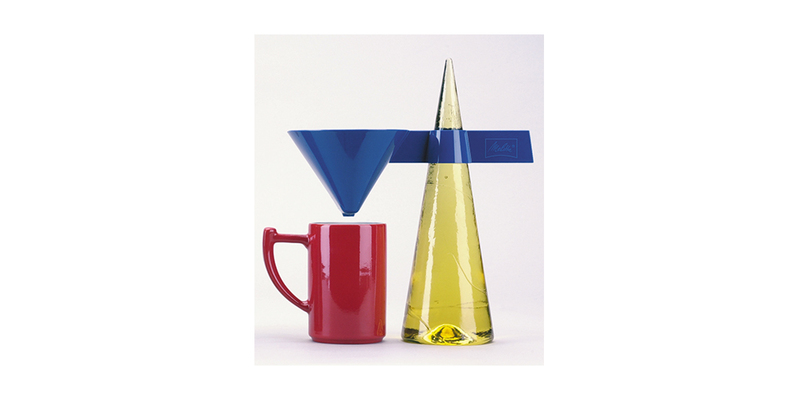 Melitta develops a new filter paper generation, Melitta filter paper with Flavor Pores™. This filter paper has microfine perforations that allow more coffee taste and aroma to come through while filtering out unwanted sediment, particles, and oils which have a negative effect on cholesterol levels. Melitta has once again proven to be the industry leader and innovator with a Double Crimp technology that adds a second safety crimp for extra strength and durability. Melitta USA begins production of single serve pod machines in partnership with Salton. 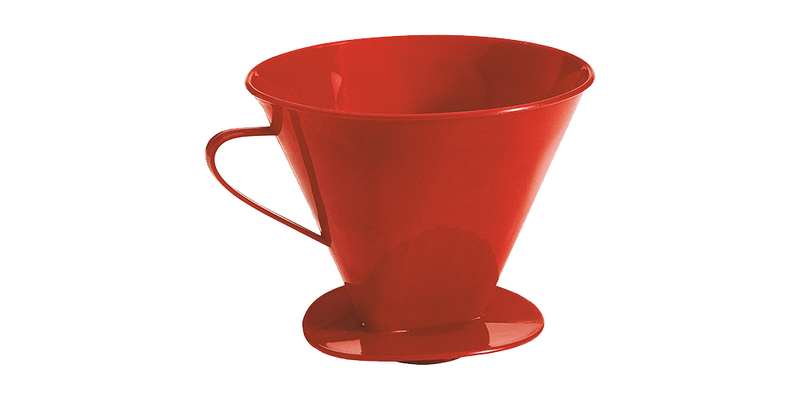 Melitta signature cone is redesigned in colored plastic and is called the Ready Set Joe. 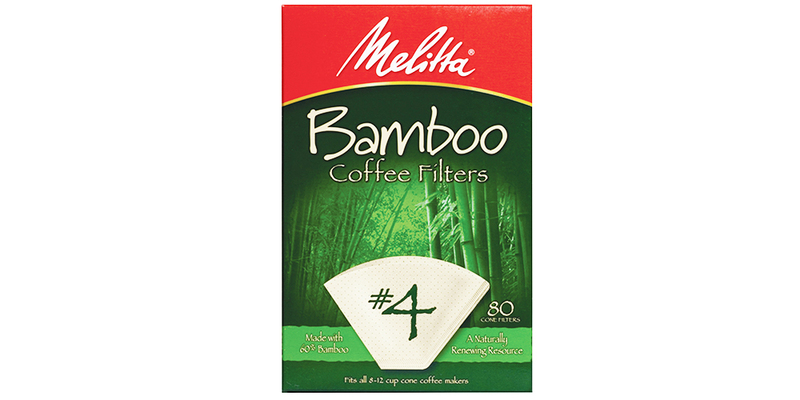 Melitta launches Bamboo filters in #2 and #4 sizes. Made with 60% Bamboo, a naturally renewing resource. 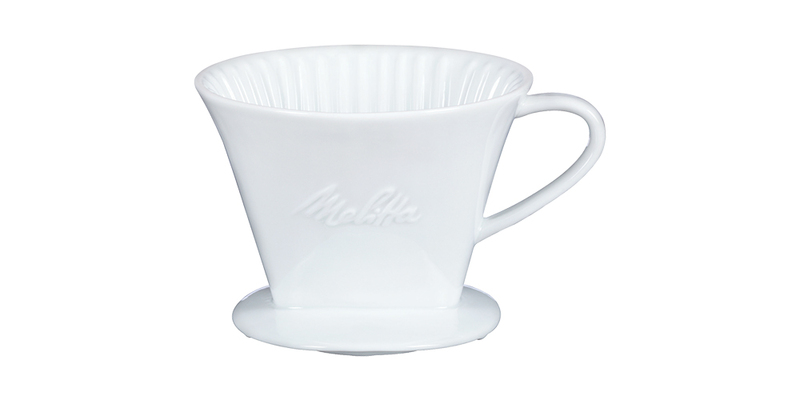 Melitta’s timeless porcelain cone is further adapted to have ridges on the inside walls as well as one drip-through hole to maximize coffee extraction and flavor. 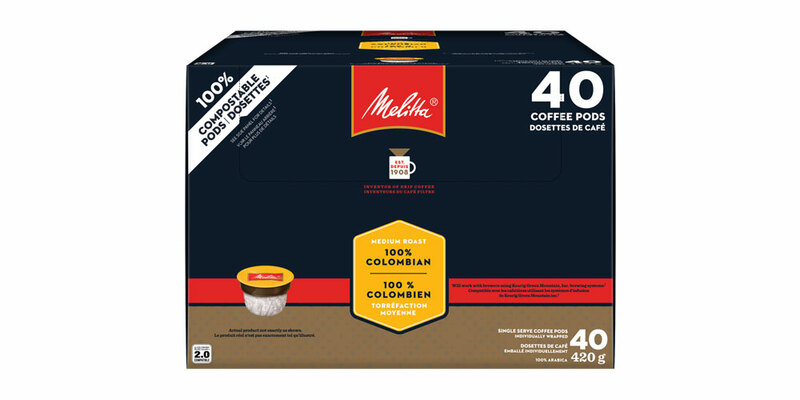 Melitta Canada encapsulates premium ground coffee in single serve cup for Keurig style brewers. 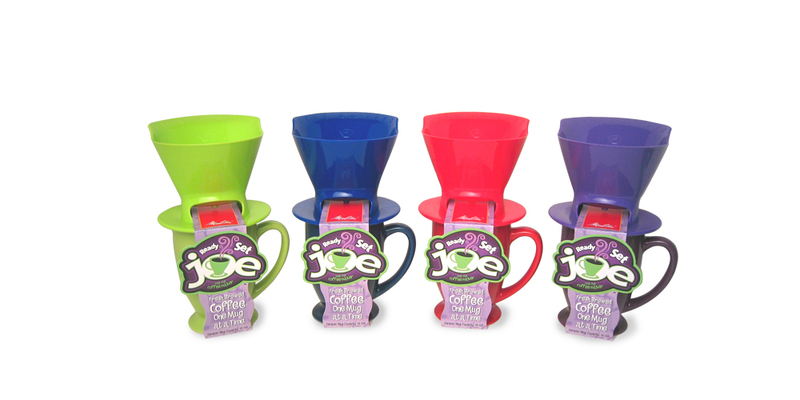 This is the first soft bottom single serve cup introduced to Canadian Market. 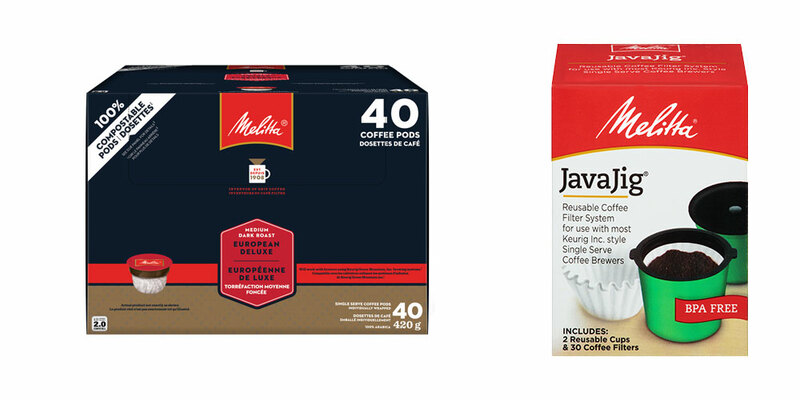 Melitta Canada launches the first compostable single serve coffee in the Melitta group. 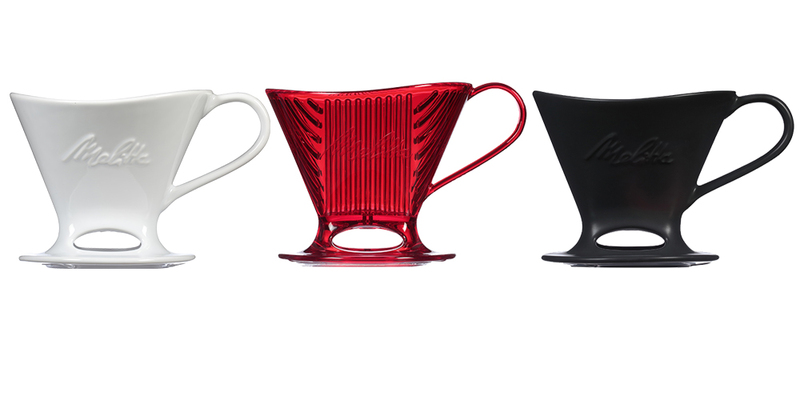 Melitta continues to innovate handcrafted coffee with the launch of a new collection of 1-Cup Pour-Over Coffee Brewers in new colors and materials. The Signature Series features an updated body style with new brewing features, such as the two viewing windows and the perfect size drip opening.